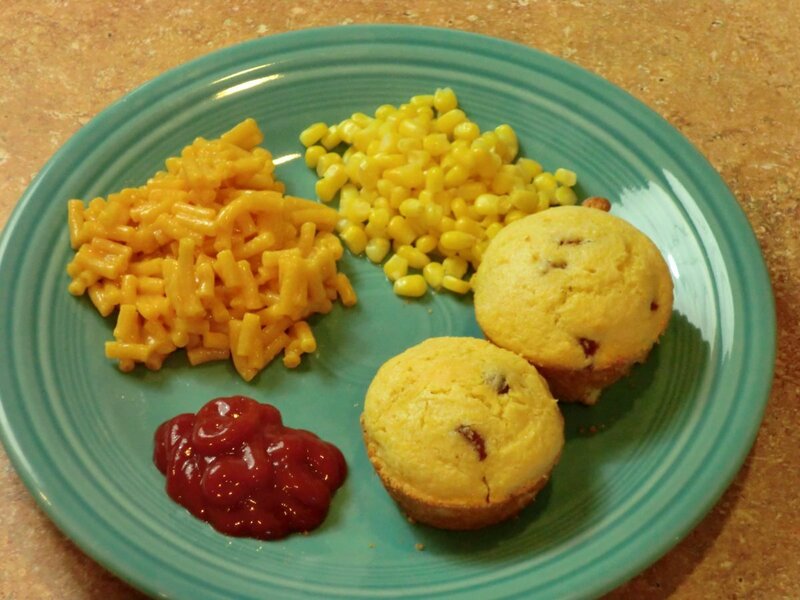 Corn muffins are delicious with a warm bowl of chili and many other meals. This page contains corn muffins recipes. 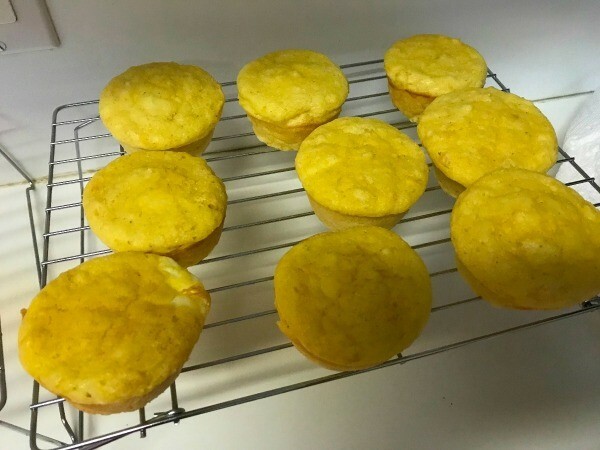 These muffins are so good and are often called Mexican Cornbread by many of the Southwest recipes (which may or may not contain cooked lean ground beef with Taco-like seasoning added). Delicious with almost any type of soup, and a "must go-with" for chili. My family will eat them with almost anything, but especially with baked beans or any other kind of dried beans over rice, they look forward to these corn muffins. Some cooks will freeze half the baked muffins, but that would be a waste of time around here. They get eaten about as soon as they appear on the table. The microwave oven would stay busy thawing and heating them if they were frozen. If you should end up with one or two leftover, just refrigerate them, and pop them in the microwave for a few seconds. Prepare regular size muffin pans for 12 muffins using solid Crisco shortening. I do not use the cooking sprays, but prefer just plain old solid Crisco shortening. I've found that cooking sprays (aside from the fact that I know they're loaded with preservatives) never seem to provide the same "quick release" that Crisco does in my much-used old pans. 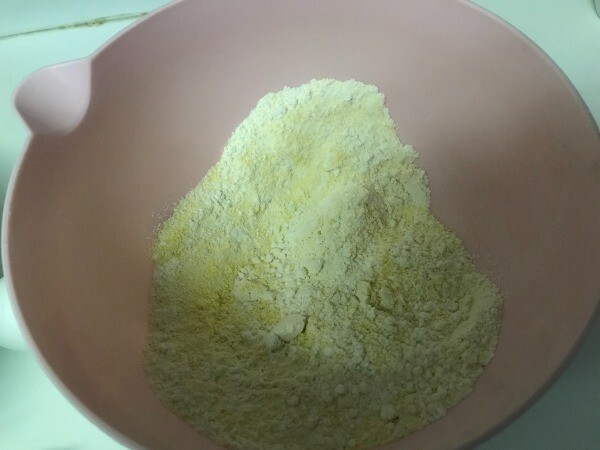 In a mixing bowl, combine the cornmeal, the salt, and baking powder. Stir to mix those 3 ingredients. Add the shredded cheese, cream corn, sour cream, and green chilies. Stir until lightly combined. Add the eggs and oil and stir to mix, but do not beat or over mix. The batter will be very thick. Spoon batter or use an ice-cream scoop to fill each muffin cup 2/3 full. Bake for 20-25 minutes (test for doneness). Serve warm. Source: Our dear friend Helen who is still one of the most gifted cooks I've ever known. She was also one of the most patient humans God ever made as her entire house including the kitchen was being remodeled right at the Christmas holidays. In spite of all that, the lady entertained a houseful of guests with one of the most memorable Christmas parties we've ever had the pleasure of attending. No one could have done it better! Stir together all ingredients until just moistened. Fill greased muffin pan 2/3 full. Bake at 400 degrees F for 20-25 minutes or until golden brown. Remove from pan immediately. Serve warm. Yields about 2 dozen muffins. These can be frozen and warmed as needed. These muffins are quite large, so you only need one for a satisfying breakfast. Preheat oven to 375 degrees F. Grease the muffin tins. In a bowl, mix flour, cornmeal, sweeteners, baking powder, and salt. 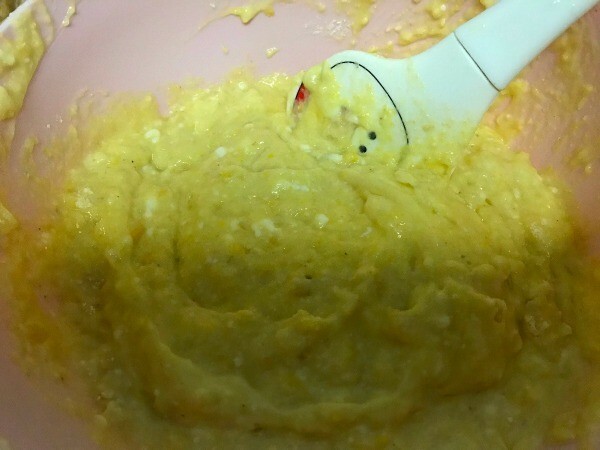 In another bowl, mix corn, egg substitute, and yogurt. Transfer contents to the first bowl and blend well. Fill 9 muffin tins to the top. Put water in the unused tins. Bake until a toothpick inserted into the center of muffin comes out clean. This will take 15-20 minutes. Combine mix and brown sugar, add eggs and milk stirring only until moistened. Stir in drained corn, and most the hot dogs, and cheese. Batter will be thin. I need a recipe that turns corn muffin mix into fruity muffins that my 5 year old son's preschool class will love. Any tried and true recipes? I love raisins or currents in my cornmeal muffins. Be very careful adding strawberries and nuts to items you have to take for school functions. So many children now are allergic to either or both. We love creamed corn, whole corn and extra sugar added, makes a great corn muffin, and who said corn muffins aren't delicious. We love them fixed that way, use the creamed corn for the milk and add up to a cup of whole corn, 1/4 cup to 1/3 cup of sugar. Makes a very sweet corn muffin. You could add fresh corn kernels or any dried fruit, such as blueberries, cherries, etc. I always make corn muffins with fresh corn kernels. They are great. 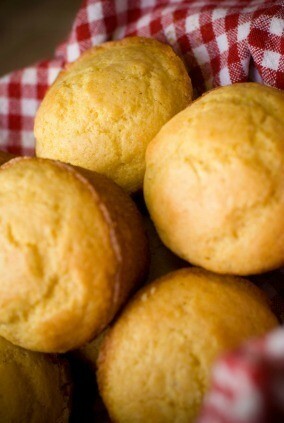 I need a low fat recipe for baking corn muffins without adding oil to make them moist. I think you use applesauce in receipes instead of oil. But remember you need a little oil to make the product come out right! I have never tried it, but some swear that it works very well to use applesauce in place of oil. I would think half and half but some say 100%. I substitued plain applesauce in my cakes, brownies and nut bread for years to make them low fat and they are nice and moist. No one has ever questioned me about them or said that they didn't taste good. I don't see why corn muffins wouldn't work as well. I use the same amount of applesauce as the amount of oil or shortening required for the recipe. And you can't taste the applesauce at all. I used to buy corn muffins at a seafood restaurant called Skipper's. They were mini muffins, light, sweet and moist. These muffins were anything but "grainy!" I am hoping someone may have a recipe similar to theirs as I can not find one. Answer: Here are some recipes we found. None of them are from Skippers unfortunately. We make a dozen basic corn muffins to serve alongside a soup. These are also wonderful as a snack with some cheese. A little bacon drippings prevents this from being vegetarian, but this could of course be replaced by more canola oil. We freeze the remaining muffins for a quick reheat later. We begin by pre-heating the oven to 425 degrees. We spray our muffin tin with vegetable spray to grease it well. In a saute pan, we place the bacon strips and begin cooking over medium-low heat. We turn the pieces every few minutes with a fork to brown evenly. As the bacon is rendering its fat, we combine the dry ingredients. In a large bowl we dump our cornmeal. Using a fine strainer, we sift the flour, baking powder, and salt into the bowl. Finally, we add the sugar to the bowl and mix with our flat whisk. In a small bowl, we mix the egg with the milk. We measure out a tablespoon of bacon drippings from the pan and put it into a measuring cup. The bacon is pretty much done at this point so we drain the pieces on paper towels and eat as a side. We add the canola oil to the drippings and stir this into the milk-egg mixture. We make a hole in the center of the dry ingredients with our clean hands, and add the liquid ingredients to the hole. We stir with our wire whisk from the center out, until everything is well mixed. 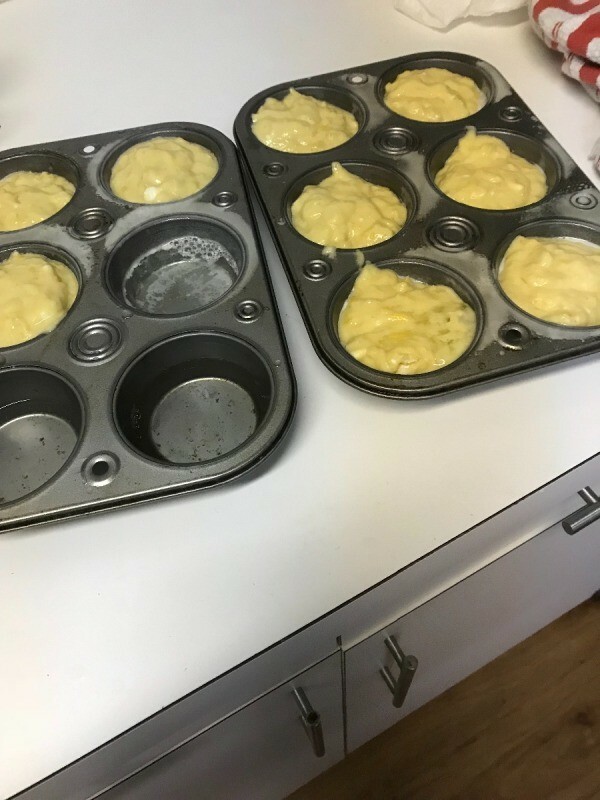 Using a quarter-cup measure, we try and divide evenly the batter into the 12 muffin cups. We place them in the oven and cook for 15 minutes. The muffins spring back when touched and they are lightly colored. We remove them with a fork, carefully because it is hot, and we serve with butter. Sift flour then measure; add baking powder, salt and sugar, then sift again. Add cornmeal and mix well. Combine eggs, milk, and melted butter; add to the flour mixture, blending just until ingredients are moist. Bake in greased muffin cups at 425° for about 25 minutes. Makes about 12 corn muffins. This is one of the best combinations for corn muffins we've found. They have joined the ranks of the muffin brigade we serve here in The Forest. Yum yum, eat 'em up! Combine first 5 ingredients in large bowl. Stir in onion, corn, and muffin mix; stir until blended. Spoon into 12 well-greased muffin tins and bake at 400 degrees for 15-20 minutes. My Daughter used to work at Skipper's here in Salt Lake City. Look for a corn muffin recipe that has more flour than corn meal, sugar (or better yet, honey) and add an extra egg. Experiment with that and you should be able to come up with what you are looking for. My cookbooks are still packed from moving or I would probably be able to come closer. 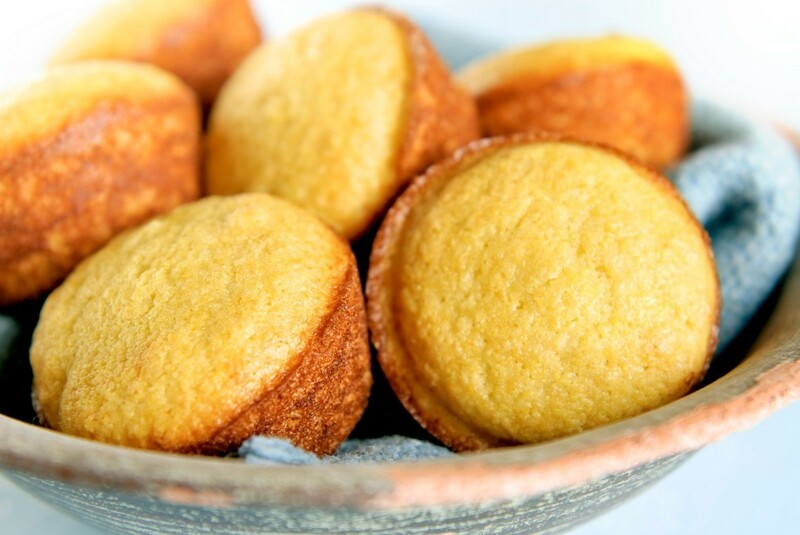 When a recipe calls for a box of Jiffy Corn Muffin Mix, heres a copycat recipe you can make at home. Add a bit of orange peel to your next batch of corn muffins for a delicious alternative to plain ones. This is a guide about orange corn muffins. These delicious baked muffins taste just like the fried fair food you may love, but not hesitate to eat very often. This is a guide about corn dog muffins. 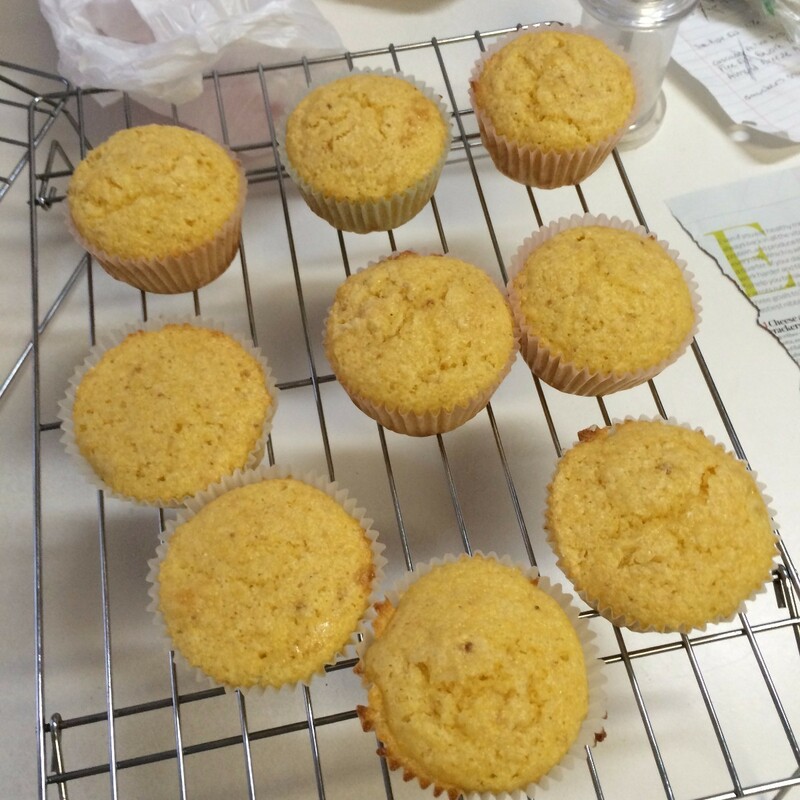 Jiffy corn muffins are often come out pretty consistently but sometimes they might be a bit crumbly. This is a guide about jiffy corn muffins too crumbly. 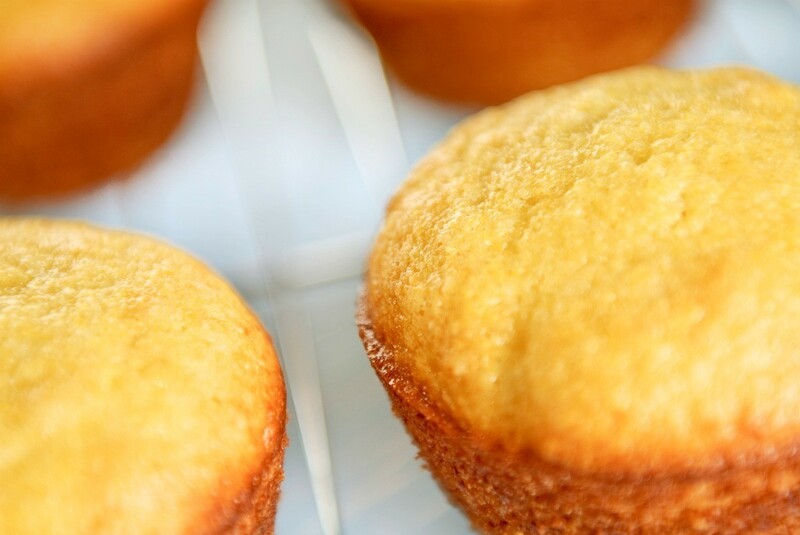 If you find packaged corn muffin mix too dry or crumbly try adding oil, sour cream, or creamed corn for a moist, more cake like muffin. 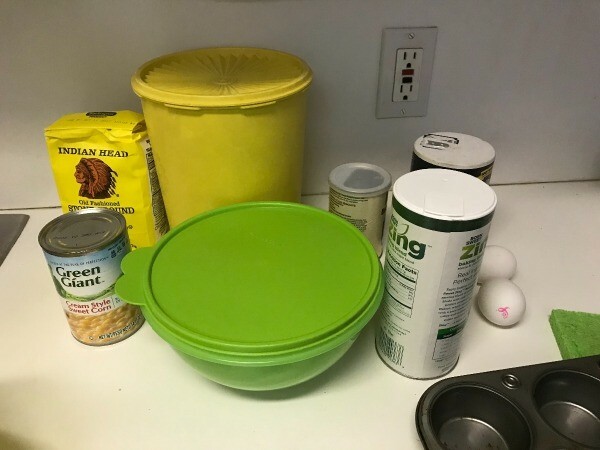 This is a guide about making Jiffy corn muffin mix more cake like. Can I add fresh fruit such as strawberries, etc. to the Jiffy Corn Muffin mix before baking? What about fruit and nuts?